As you well know by now I way in to all kinds of innovation when it comes to kids education and entertainment. So I was pretty stoked to find KiwiCrate recently. For $19.95 a month (includes shipping), KiwiCrate will send you an age-appropriate craft project for your child complete with all the materials and detailed instructions. The crafts are developed by a panel of experts in child development, science, art, and education and tested by the ultimate experts: real kids. Found at the mighty JESS3’s Vimeo account. Enjoi! 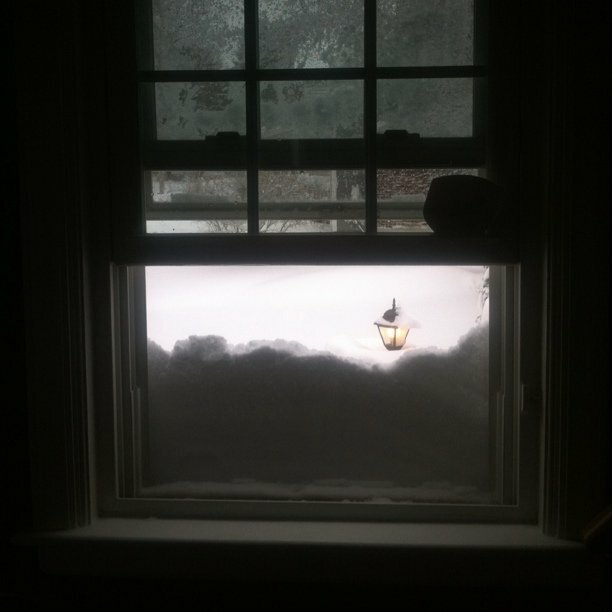 Had some fun this morning with Instagram snapping the 20’ of snow that pounded us last night. Weeeee! apple #fail: one man's reaction. shameless self-promotion: Tegu is LIVE! Hey! Thought I’d take a quick moment to introduce you to a pet project of mine. Meet Tegu. A startup Toy Company that I have been involved with since 2010. Tegu “the blocks that click” are green, sustainable, beautifully design pieces of art - loaded up with magnets inside. They are unassumingly cool and once you pick them up you can’t put them down. Tegu LIVE is the first outcome of our journey together as business partners. Think of it as an online playmate and owner’s manual. 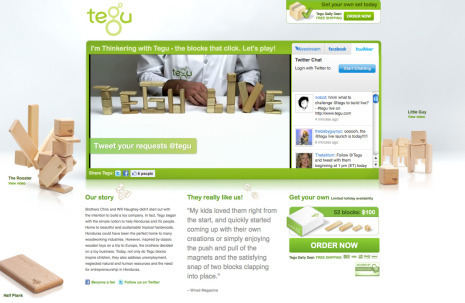 Full of ideas and instruction to inspire you to create with Tegu. 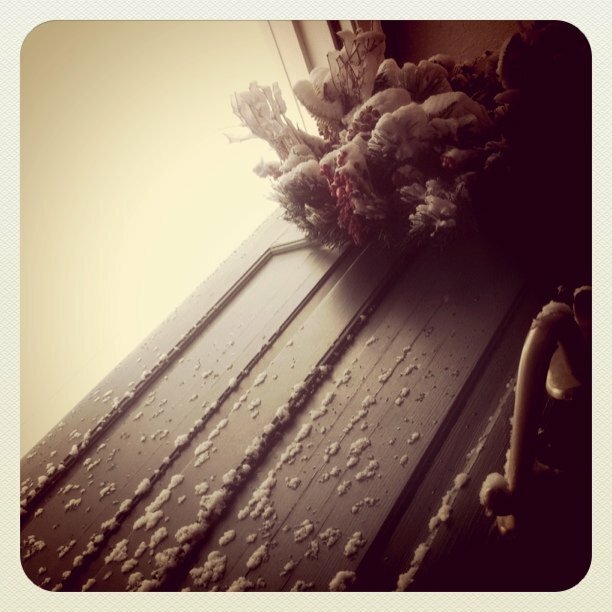 Having given the block to my boys, I can attest to their quality and beauty. But I can also attest to how challenging they can be! Tegu LIVE aims at helping people through the learning and creation process by making the entire think interactive. Would love your thoughts. There’s quite an operation behind the scenes at POKE making it all happen. Stop by sometime and we’ll show you! I haves treat for you: Mac Jewelry. Srsly! My favorite? 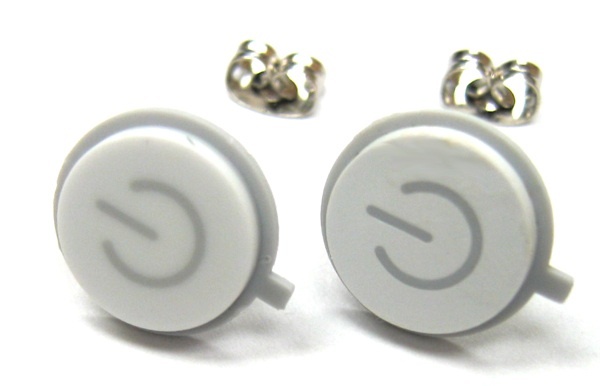 iphone button earrings - a must for every Macshionista on your list this year. Found this on the interwebs today. I can haz all of them? music made with computers...errr trees. This dude is making music with computers err trees errr both. Whatever. It’s awesome. And nerdy. But not too nerdy. It’s kinda tree-huggy too. And that’s awesomer. Enjoi. In the garden of my house there’s a tree with lots of randomly grown twigs. It looks odd and nice at the same time.One day I asked myself if I could create a piece of music with it. Below you can see the video and some pictures with more detailed descriptions from his posting on Behance. Diego Stocco - Music From A Tree from Diego Stocco on Vimeo. I modified a stethoscope by using some hose accessories.The connection between the plastic pipe and the microphone needed to be sealed in order to transmit the sound well. Here I was recording the low frequencies coming from a big piece of cortex. I used this sound as a kick drum. The two Røde NT6 attached to my fingers with rubber bands. I came up with this idea because mike stands are not very practical for certain locations and also because in this way I can move the microphones dynamically around the object I’m recording. One of the most representative cases of succesful online brand building in Spain is Atrapalo.com, an online travel agency that also promotes leisure activities. Their latest idea? Think simple, smart and social. These guys took a page out of the Radiohead Book and created a vacation model in which you pay for your trip when you get back based on how much you think it’s worth. Thanks to Rubbishcorp for the snag. These necklaces, by Mike and Maaike, were created when the design team, who google searched for the most famous jewelry in the world, came up with a bunch of low-res images that caught their eye. They then stole, doctored, and transfered these images onto leather, creating their own “priceless” creations. The result is an intense visual experience, and while the intricacy of the jewels are gone, the effect is not lost. Nuff said. This made me laugh. A lot. Now you will too. You’re welcome. Also, buy me one, k? Thx. Tape, tape, tape….. what to do with all those random roles of tape hiding round your office and in your home? Why not Tape 4 Fun and plaster it all over your (friend’s) wall?! See more T4F goodness here. Since graduating from London’s Central Saint Martins University of Art & Design with first class honors in graphic design and illustration in 2003, Shantell Martin has been expanding conventional definitions of drawing, using it as a base from which to storm and occupy the design, fashion and music scenes. Now based between Tokyo and New York, Martin has been a much sought-after resident and guest VJ at some of the city’s most experimental club nights and has collaborated with some of the best-known names in the fashion and music industry. Like her drawings, Martin herself seems to be in an unstoppable state of constant and conscious movement: by turn illustrator, designer, VJ, artist, videographer and more, each persona is linked by the common thread of her trademark continuous-line style, each project a further entanglement of disciplines and an exploratory step into a new world the artist creates as she moves through it.